Permaculture is, as the name suggests, about permanent agriculture. It is way of thinking about the land available to you and revolves around getting maximum benefit year on year by working with natural systems rather than against them. A good permaculture design will not need pesticides or artificial fertilisers and will meet multiple requirements. 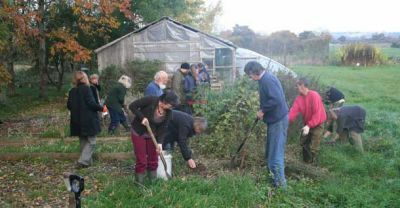 So, if you are keen to get a variety of benefits from your land, such as foods throughout the year, wildlife, and other resources, you may want to consider attending a course on permaculture to get you started.